Here’s a story you probably haven’t heard in the news: Family farmers are leading water conservation efforts in the West. Here are two examples. 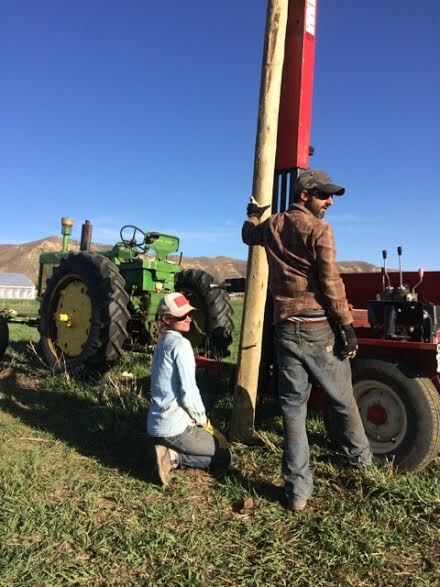 By building up the level of organic matter in the soil of their California farm, Paul and Elizabeth Kaiser (pictured above with their crew) have drastically cut their irrigation use while increasing their production seven fold compared to similar California farms. In Wyoming, ranchers Pat and Sharon O’Toole have always managed their land with conservation in mind. Along the way, they’ve built strong partnerships with Trout Unlimited, Audubon Wyoming, and The Nature Conservancy—organizations some ranchers once viewed as adversaries. 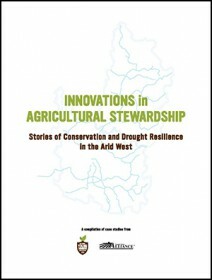 Our new report, Innovations in Agricultural Stewardship: Stories of Conservation & Drought Resilience in the Arid West, offers five case studies profiling producers across the Colorado River Basin (an area that spans seven Western states) and beyond who—with curiosity, creativity, and seasons of trial and error—are adapting and even thriving in the drought. This report was created in partnership with the Family Farm Alliance to highlight farmers who are building drought resilience, saving water, & growing good food for all of us. The West is mobilizing in search of answers to a growing water gap between water supply and demand. 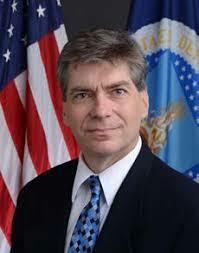 Earlier this week the Bureau of Reclamation, the federal agency that manages much of the water infrastructure in the West, released a report that NYFC also collaborated on titled Moving Forward Phase I Report that identifies ways to reduce water stress in the Colorado River Basin. Now with our latest publication, Innovations in Agricultural Stewardship, we hope to add to the list of solutions. 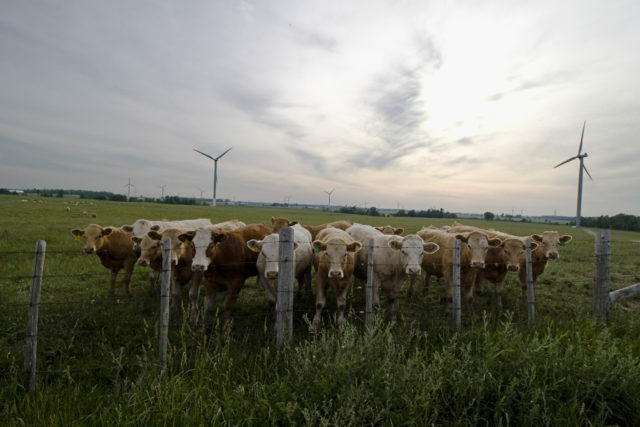 In order to develop smart policy, it is critical to understand the creative ways farmers and ranchers—young and seasoned alike—manage their land. We call on our policymakers to engage farmers as allies in finding innovative solutions that support the health of our land, water, and Western communities.